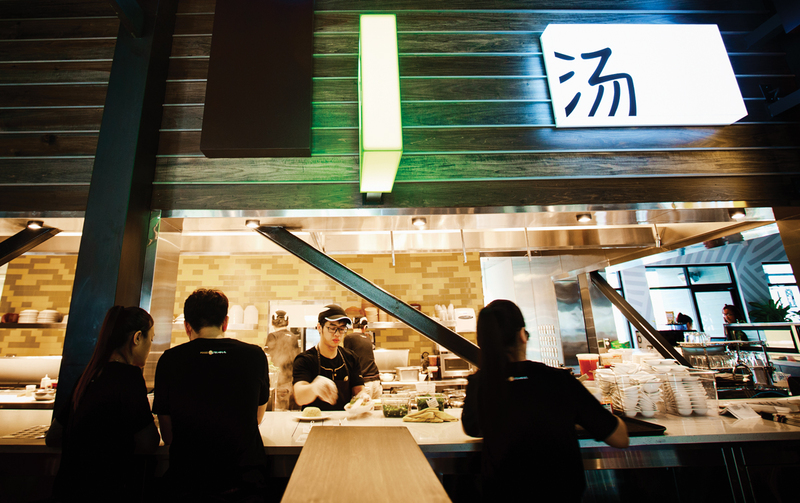 Food Terminal, which opened in March, is the quintessential expression of this resurgence. The restaurant looks more like an upscale food hall with neon lights and yellow-coated industrial metal stools, and it serves Malaysian food, which is inherently a mix of Chinese, Indian, Singaporean, and Thai flavors. There is no better cuisine to illustrate what Buford Highway has become: a collage of cultures, where different is treasured and even sought out. An army of servers runs food from the open kitchen to tables all over the warehouse-like space. Co-owners Amy Wong and Howie Ewe moved to Atlanta from Malaysia in the 1980s and found success as the managers of two Top Spice locations (Ewe is also the head chef for Top Spice on Cobb Parkway) before opening Sweet Hut in Asian Square in 2012. The pan-Asian bakery has since become a mini-chain with three locations and two more on the way. At Food Terminal Wong is the head chef while Ewe manages operations, and the pair have quickly built a packed restaurant that is grander than both their previous endeavors and many of their neighboring businesses. The menu is made to look like a magazine with 50 glossy pages featuring full-bleed photos and faux cover lines: “The Ultimate Noodle Party,” “Asian Street Snacks + Drinks + Desserts! Wow! Yes, Rice, Too.” The table of contents aims to categorize Food Terminal’s 125 dishes: There is stuffed and fried tofu, steamed vegetables, skewers, noodle soups, tossed noodles, garlic noodles. In fact, there’s no noodle dish I crave more right now than Food Terminal’s “Thai Chili Pan Mee,” a bowl of silky flat noodles topped with dried silver anchovies, ground pork, shiitake and wood ear mushrooms, spinach, and a fried egg. When the bowl arrives, each ingredient holds a place atop the noodles, like hour markings on a clock. Your job is to mix it with your chopsticks until everything, including the sambal belecan (a Malaysian chile paste made with dried shrimp), is blended beyond recognition. The result is funky, chewy, and hard to stop eating once you start. 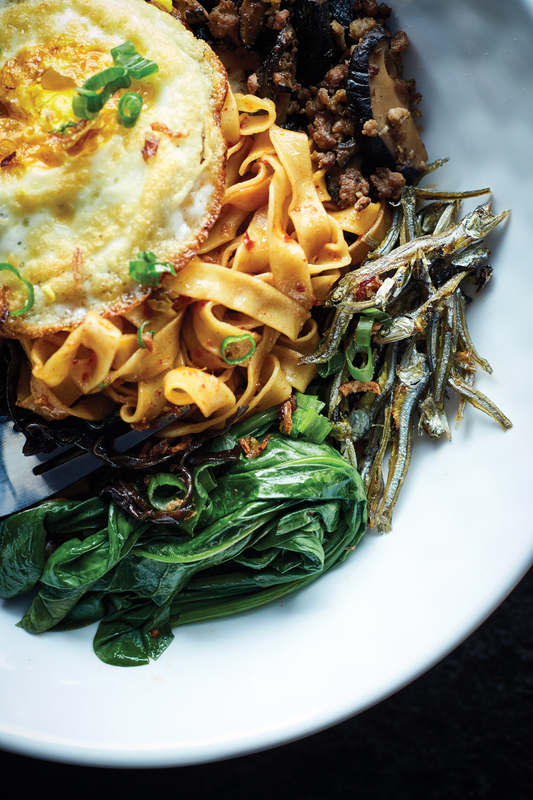 The flat pan mee and signature thin egg noodles are so good because they’re made fresh weekly—all 800 servings of them. Ewe designed a one-of-a-kind machine to do the job, and one staff member is dedicated to keeping it going. Most nearby restaurants buy noodles from manufacturers, but here they’re pleasantly chewy and toothsome. 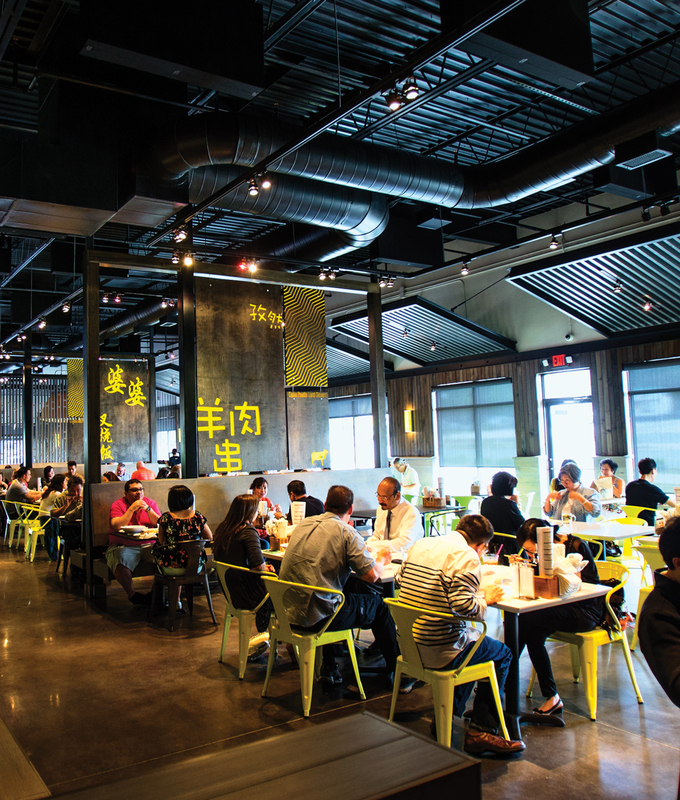 Glance at Food Terminal’s dining tables and you’ll see some sort of noodle on just about every one, be it with a bowl of Sichuan beef or some variation of “tossed noodles,” which is like a hybrid of stir-fried Cantonese lo mein and chow mein. There may be countless places to get noodles on Buford Highway, but I’ll be sticking to Food Terminal for a while. Drawing inspiration from so many other global cuisines keeps the restaurant’s cooking playful; layer on Wong’s irreverent attitude and the outcome can be genius. 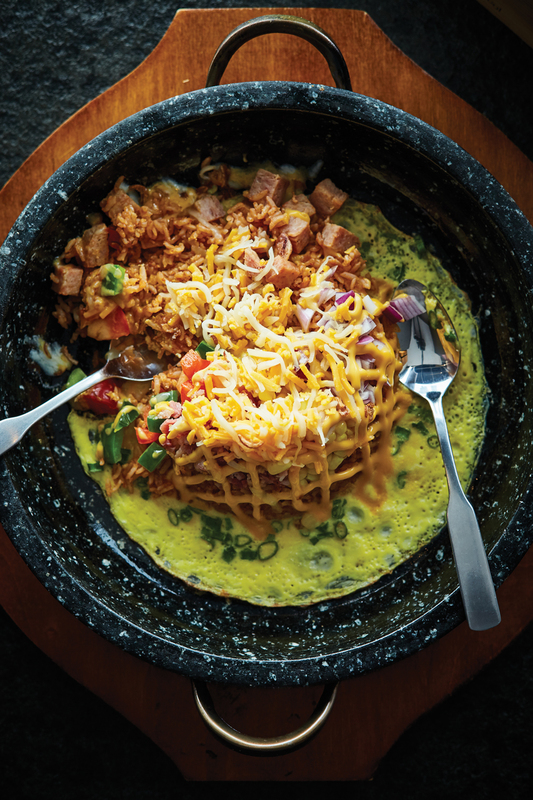 The “Cheese ‘N Cheese” is like Korean dolsot bibimbap, in that diners are meant to stir its composed parts in a sizzling cast-iron pan. At the bottom is a kind of moat of still-cooking egg that surrounds a plateau of tomato-braised rice. On top of that: groupings of corn kernels, diced bell peppers, and cubed Spam. It’s a Hawaiian-Korean-Malaysian mix that shouldn’t work, but it really does. I took immense pleasure in tossing it until the whole mess resembled fried rice and tasted like a Southwestern cheesy omelet. As someone who holds Buford Highway so dear that I chose to live near it, I’m encouraged by the arrival of Food Terminal. It tells me that BuHi is becoming, once again, the most exciting place to eat in Atlanta. Try the pleasantly surprising virgin mixed drinks, including a refreshing lemongrass and lime soda.